Customisable with up to 150 performance and productivity enhancing options. Vibration-decoupled sorting/rejecting devices and specialised guide rails ensure flawless product flow. A conveyor speed of up to 90 meters per minute, a weighing range up to 80 kg and high weighing accuracy positions the C21 StandardLine as best in class for efficient and reliable heavy load weighing applications. Configurable with 90 performance and productivity enhancing options. Vibration-decoupled sorting/rejecting devices and guide rails for best in class product handling and accuracy. Rugged construction ensures smooth and reliable weighing of heavy loads. 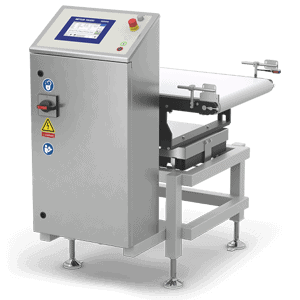 A very economical and efficient weighing solution, suitable for use in all dry production processes and environments. More than ten data communication standards including Ethernet, Fieldbus and OPC technologie to provide the fullest suite of data collection tools available. Supports Industry 4.0 integration projects. A conveyor speed of up to 150 meters per minute, a weighing range up to 80 kg and very high weighing accuracy positions the C23 PlusLine at the forefront of heavy load checkweighing technology. Customisable with 150 performances and productivity enhancing options. Vibration-decoupled sorting/rejecting devices and specialised guide rails ensure flawless product flow. Designed for endurance and maximum reliability in wet and dry working environments. Specialised water protected conveyors allow regular cleaning routines to maintain hygiene standards. More than ten data communication standards, including Ethernet, Fieldbus and OPC technologies to provide the fullest suite of data collection tools available. Supports Industry 4.0 integration projects. A conveyor speed of up to 150 meters per minute, a weighing range up to 80 kg and very high weighing accuracy positions the C23 PlusLine at the forefront of heavy load checkweighing technology. 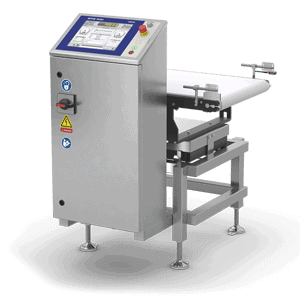 The robust performance of C23 PlusLine checkweigher allows its use in near to all industrial production situations, especially those where demanding high load application requirements need to be achieved in challenging working environments. 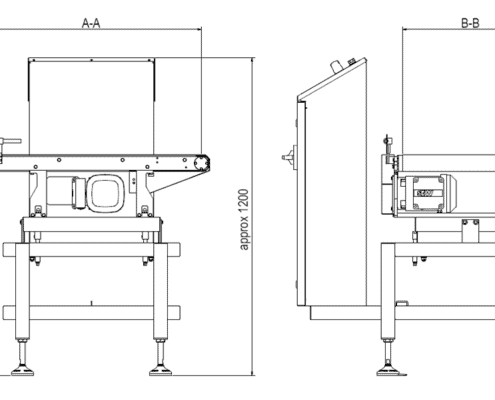 It has been designed to fulfil the most demanding system integration requirements and can be utilised not only for end of line completeness checking but also for 100 percent weight control of single large products. 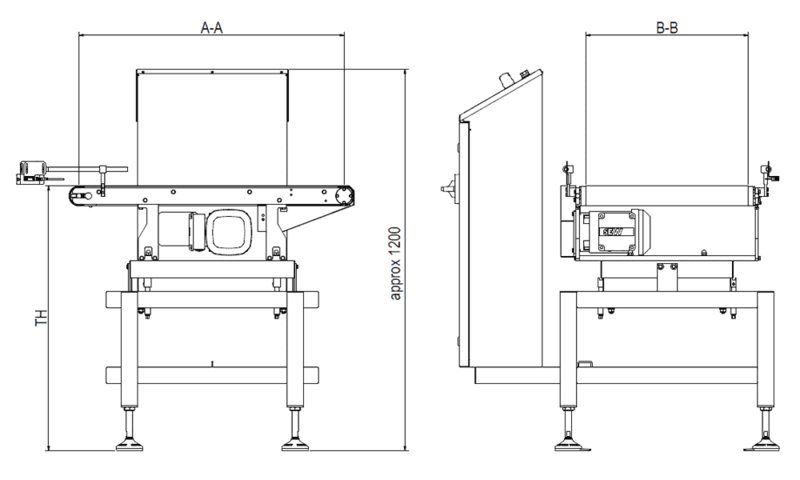 C23 PlusLine systems are operated from a 12″ multilingual touchscreen positioned in front of the conveyor for maximum operator safety.